[All of my books are available for purchase. 77 pages, spanning forty years of reflections and experiences. One of the nobler functions of poetry is to locate meaning and the luminous in ordinary experience. 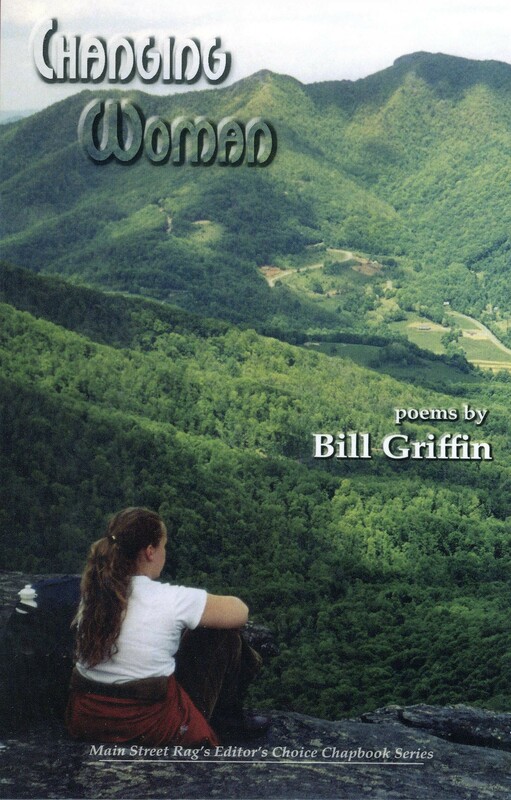 Bill Griffin’s narrative poems – about examining patients, farm life, a supermarket bagger, a grandmother’s kitchen, Pilot Mountain, apple picking, and a Great Blue Heron that “pins me to the day”– do this admirably. Readers will not easily forget scenes taken from the daily and shaped into poems of strength and compassion. Crossing the River is a rewarding book. In Crossing the River, Bill Griffin preserves the humble people and places of North Carolina, carefully recording where past and present intersect. Like a plein air artist who must capture a scene before the light fades, Griffin anchors his poems in the real world of the grocery store, kitchen table, doctor’s office. A family doctor and geriatrician, he sometimes turns the mirror on himself: “what does this river care who crosses or how long? / Almost forty years for me. / It never stops learning. / I’ll take a lesson.” This is a deeply personal collection that ponders the truth of human choices. Griffin’s new collection opens masterfully with these lines from the first poem Care, “She opens the jeweled box of care / and unfolds first one / then another…,” as does the reader with this book, unfolding these pages and the thoughtful poetry contained within. These well-crafted poems are lyrical, rich with imagery and in some way are all connected to nature, to the earth. I find this collection spiritual, even magical. 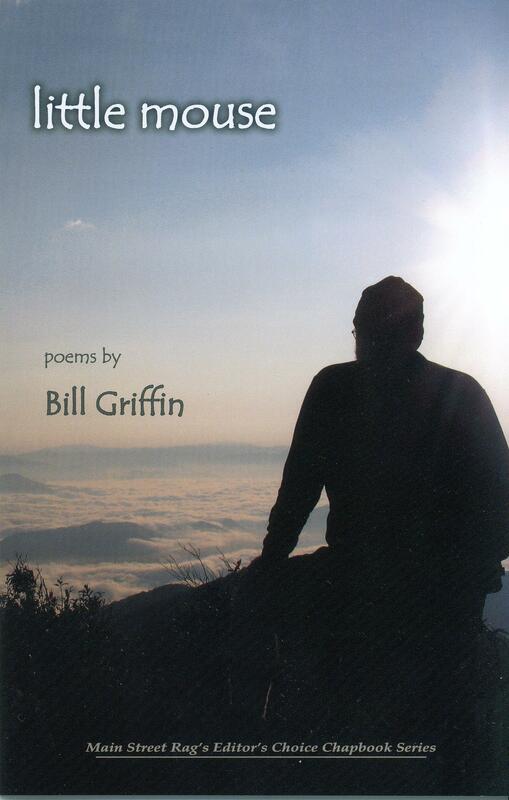 Bill Griffin writes with both clarity and depth, capturing the reader’s imagination, while subtly exploring the human condition. A beautiful book of poetry. across the shoulders of every neighborhood. like an infant’s down bunting. at the hills’ white-lofted magic? for a son’s shallow grave. the loss of every child. 32 poems, each in the same 20-line form, each with the same title, each speaking in a different voice. Parent or infant, exploring or fearful, oppressed or joyful, each of us will discover ourselves somewhere within these lines. For after all, which of us can say that we have never at some point felt small, gray, and capable of biting? “From the tradition of Randall Jarrell’s bat poet comes Bill Griffins little mouse, singing us the “earth story.” Part book of psalms, part primer on the human condition, these gentle lyrics take us on a journey through the richness that is life, with all its mystery and paradox, where the dread that comes in one breath is answered by joy in the next. This is our story, and little mouse our spirit guide, offering us these “few terse squeakes that mostly have to do with yes.” Yes, I say, to these straight-to-the-heart songs. Yes to each moment that little mouse illuminates and shines back to us. Little mouse, of course, says it best: “The simplest things reveal the greatest.” This is a book to which I will return again and again, carrying it with me like a prayer or a friend.” – – – Rhett Iseman Trull, author of The Real Warnings, winner of the 2008 Anhinga Prize for poetry. the flannel of their brothers? of smile brief as sunclouds – O! Linda’s drawings accompany each poem and include native Appalachian flora as well. 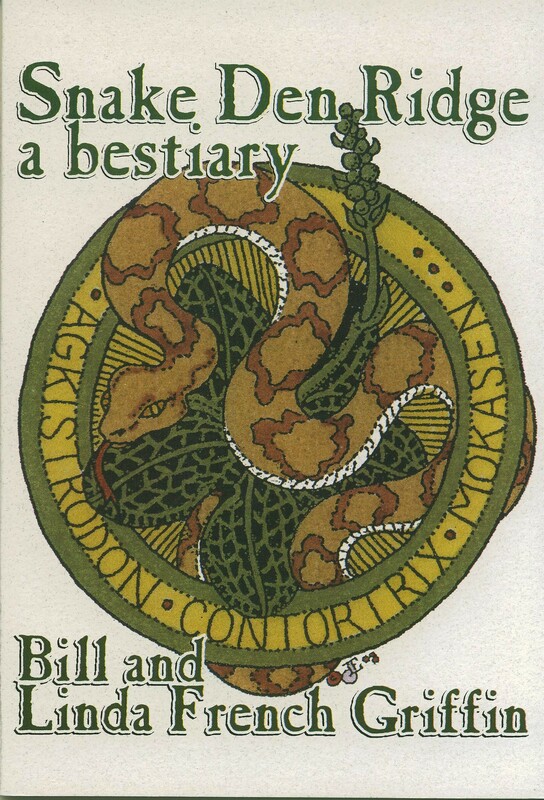 At the end of the book is a listing of all the creatures and plants mentioned in the poems or depicted, with Latin binomials. the spire of blue-eyed grass. they acquire a new name. – – – For Linda changing / and changing me. These poems explore the relationship between men and women, from the mundane to the sudden epiphany, from longing to fulfillment (and sometimes back to longing). Since there are never words for how we really feel about each other, poetry must attempt to fill the gap. Changing Woman is a central figure in Dinetah (Navajo) creation mythology. Through her marriage to Sun all human beings emerge, but she laments to her husband: You are constant in your brightness, but I must change with the seasons! tipple from the red-fringed heads. Barbs connect, the quill raises, down softens – it requires all three to make a feather. Although this is not a book about birds, in each poem appears a bird, a feather, flight. And the cover art is a charcoal rendering by Clara C. “Cookie” Griffin, my mother. 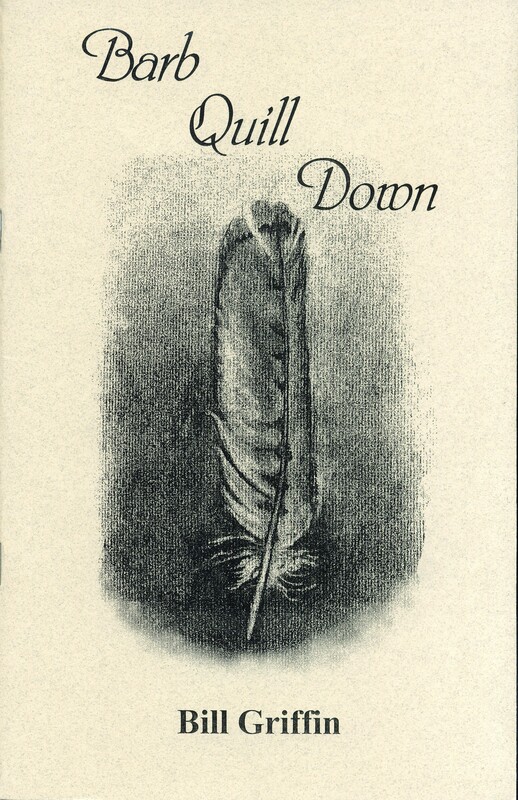 Barb Quill Down was a finalist in the 2003 National Looking Glass Chapbook Competition from Pudding House Publications. creatures that live for fire. Let me know which books you want, send me your mailing address, and I’ll let you know how to mail me a check. Thanks!